Our range of products include dyno mill and horizontal bead mill. 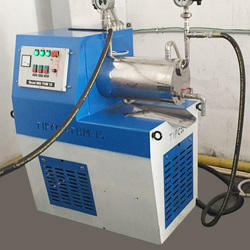 We have emerged as the prominent manufacturer and supplier of a qualitative assortment of Dyno Mill. Suitable for the grind and dispersing of liquid – hase particulate materials such as surface coatings, dyes, pigments, printing inks, pesticides and paper industries. The machinery is designed for continuous production with efficient grinding and dispersing, suitable for low to medium viscosity materials. 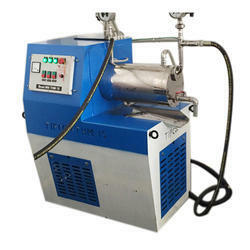 The grinding mechanism is totally enclosed and solvent loss is cut down to minimum.